Robin Williams shocked the world this week when he committed suicide. He is one of the last people anyone would have ever thought was depressed. It just goes to show that depression can be something people share openly or hide secretly. As a result, I am dedicating this article to those who suffer mild, moderate or severe depression, especially Christians. Depression is something everyone experiences at some point in their lives. Did you know that many well-known people struggled with depression such as Abraham Lincoln, Martin Luther, James Taylor and Charles Spurgeon? There are also some great characters in the Bible who experienced depression. They include the Prophet Elijah, Hannah, King David and the Apostle Paul. As you can see, depression is a condition which is blind to wealth, notoriety, achievements or beliefs. Sadly, most Christians don’t want to talk about their depression because they believe that if they trusted God enough, they would not be depressed. That can be true but it is not necessarily valid in all situations. If you identify with a majority of these symptoms, you are most likely depressed. 1. Ongoing feelings of sadness or irritability. 2. Loss of interest or pleasure in activities. 3. Changes in weight or appetite. 5. Feeling guilty or worthless. 6. Inability to concentrate, remember things or make decisions. 10. Unexplained or heightened physical pains. 11. Intermittent or prolonged anxiety. To be open and vulnerable, I have at some point in my life experienced the different types of depression that I am about to list. You may have too or you may know someone who has. Simply put, these types are Non-biological and Biological. Let’s take a look at each. Non-biological depression can be caused for a number of reasons such as difficult circumstances, not being a believer in Christ, being overworked consistently, attempting to get your love and acceptance needs met apart from Jesus, performing to measure up instead of resting in your righteousness in Christ, rejection, trying to be perfect, unforgiveness, unresolved guilt, unyielded rights, not understanding the New Covenant, spiritual oppression, prolonged disappointment, failure and more. How can you deal with non-biological depression? The best thing you can do is to resolve the spiritual conflicts within you – most often with good grace-based Biblical counseling. We see God work to bring healing in many depressed people’s lives each week in our counseling ministry, Grace Life International. If you are interested in having a consultation, we provide live and Skype counseling for people. For more info, visit our web site at www.GraceLifeInternational.com or call us at 704-522-9026. We may also be able to refer you to one of our counseling associates elsewhere. I encourage you to read a wonderful book, “Conquering Depression” by Bill and Anabel Gillham. Biological depression is such that counseling, praying, reading your Bible, knowing your identity in Christ, or setting your mind on Biblical truth will not alleviate it. As a doctor friend once told me, “You can’t think you way out of this kind of depression.” Some of the reasons for biological depression include illnesses which change the body chemistry such as a stroke, side-effects of some medications, drug or alcohol abuse, extreme fatigue, hormone imbalance, and heredity. What can help with biological depression? Thank God that we live in a time when there are both natural and traditional medications to help with this kind of depression. See your doctor to discuss your options for this kind of treatment. And listen Christian! There is no need to feel guilty or ashamed if you need to take a natural or prescription medication for depression. Would you feel this way if you had to take thyroid medication? Of course not! So don’t let those feelings prevent you from seeing your doctor. Also, let me say that in our experience, some people cannot deal with the spiritual causes of depression until they get some help from medication to get their brain chemistry back on track. Afterwards, some are able to stop their meds with their doctor’s help while others may need to remain on them for the rest of their lives. There are many books on biological depression to help you understand the role of brain chemistry, hormones, blood sugar, medications and more. Though you will need to disregard the evolutionary bent, one such book is “The Broken Brain: The Biological Revolution in Psychiatry” by Nancy C. Andreasen. Most of all, pray for God to heal your depression and to guide you to the best counseling or treatment for you. He does not want you to remain in depression. He loves you and He is for you. 2 Corinthians 7:6 says, “But God, who comforts the depressed, comforted us in the coming of Titus.” (NASB) Also, tell someone. Secrecy is a mighty weapon Satan wields against God’s children. Finally, if you don’t have a personal relationship with Jesus Christ, talk to Him and ask Him to forgive you for your sins and to come live inside you. Occasionally, someone challenges me when I teach that under the New Covenant, Christians are not obligated to keep the 10 Commandments. I appreciate their honesty and prefer that response, rather than automatically dismissing what Grace Life International and I teach. It provides an opportunity for dialogue so we can reason together with Scripture. Here are a few of the challenges I have received and my responses using Scripture. 1. Christians need the Law to show us our sins. 2. The Law helps Christians sin less. 3. The Law can’t save us but we need the Law to sanctify us. The moment you die you will no longer have to pay taxes because your death frees you from the tax law. In the same way, when your old nature died with Christ on the cross, you were freed from the Old Covenant Law so that your new nature could be united to Christ instead. “So, my brothers and sisters, you also died to the law through the body of Christ, that you might belong to another, to him who was raised from the dead, in order that we might bear fruit for God.” Romans 7:4 (NIV) Having Jesus is so much better than having the Law! When I come home late at night from speaking, sometimes my wife sees my shadow first. If she gets in the floor to hug my shadow, I’m calling 911! The shadow tells her I am coming in. The Law was a shadow according to Hebrews 10:1, telling us that Jesus was coming. “The law is only a shadow of the good things that are coming…” (NIV) Don’t hug the shadow. Hug Jesus! To sanctify means to grow spiritually. For those who say the Law is not needed to justify us but it is needed to sanctify us, meditate on this verse written for believers.“For sin shall no longer be your master, because you are not under the law, but under grace.” (Romans 6:14 NIV) To deepen it’s meaning, let’s read it backwards. “For sin shall be your master, because you are not under grace but under law”. Spiritual growth is a result of living under grace not law! Many don’t realize Paul was writing about how he came to the end of himself by using the law to try to live a righteous life in Romans 7:15-25. That is why he said in verse 15, “I don’t really understand myself, for I want to do what is right, but I don’t do it. Instead, I do what I hate.” What we see in our counseling at GLI is that victory over sin for Christians increases dramatically when they live by grace instead of the Law! Our identity in Christ, empowered by the Holy Spirit has replaced the Law. (Hebrews 10:16, Romans 7:6) All of the New Covenant in Scripture exhorts us to understand this and to live in a way consistent with it. This is how we live an “inside out life” by faith, which pleases God. Are You a Minister of the Old or New Covenant? For most of the first 10 years I was a pastor, I was a mixed up minister who mixed up a lot of Christians by preaching a mixture of the Old Covenant (OC) and New Covenant (NC). By doing this, I unwittingly watered down both the purpose of the (OC) and the power of the (NC). It was my own preaching like this that eventually brought me to brokenness. That would be a great title for a book, wouldn’t it? “Pastor’s Own Preaching Breaks Him”! In that brokenness, God began to give me understanding about the liberating difference in the two Covenants. I didn’t know at the time that this was not only going to free me but many others in the years to come. Let’s look at according to 2 Corinthians 3:5-11 and then check ourselves to which one we are telling people. 5 Not that we are adequate in ourselves to consider anything as coming from ourselves, but our adequacy is from God, 6 who also made us adequate as servants of a new covenant, not of the letter but of the Spirit; for the letter kills, but the Spirit gives life. 7 But if the ministry of death, in letters engraved on stones, came [c]with glory, so that the sons of Israel could not look intently at the face of Moses because of the glory of his face, fading as it was, 8 how will the ministry of the Spirit fail to be even more with glory? 9 For if the ministry of condemnation has glory, much more does the ministry of righteousness abound in glory. 10 For indeed what had glory, in this case has no glory because of the glory that surpasses it. 11 For if that which fades away was with glory, much more that which remains is in glory. If you are discovering that you are like I once was, in that you mix together the two Covenants, let go of the Old Covenant unless you are talking to an unbeliever. It’s not for Christians! Embrace and live in the freedom of being a New Covenant person! Minister to people this awesome New Covenant which God has provided for us in Christ! Many years ago, when on the staff of a large church, I was caught off guard one day in the work room by the Church Receptionist. She quizzed me about my relationship with Ellen Taylor, a well-known girl in the church. We were secretly dating because I was the Youth Minister. So, we were trying to keep it under wraps. Though I tried to to play it off, the Receptionist realized something was up because she said, “You talk about her differently than anyone else”. I’m so glad God forgave me for lying that day because though I denied we were dating, I was caught! Yet, my entire demeanor changed when I spoke of her. I just could not hide the love and joy I felt when I talked about Ellen Taylor, compared to other people. My face lit up every time I spoke about her. When you and I talk about Jesus and the New Covenant, people may very well notice that we light up too. Why? Because through The New Covenant, He transforms us so much more than the Old Covenant every could! I think you will appreciate more of what I mean as we compare the two. God relates to you as your King, Father and Husband. Responsibilities: The 10 Commandments were written by God on tablets of stone. …God lives very much at home in your spirit, the new Holy of Holies. 1Corinthians 6:17 and 19. Recently, I had the great joy of marrying a special young couple for whom I had provided pre-marital counseling. It was cool to observe them stare into each other’s eyes with that “I love you but I hope I don’t pass out” look as they repeated their vows. As they did, it reminded me that wedding vows are the closet thing we have to a covenant in our culture today. Christ followers have entered into what Jesus called the New Covenant by very few know what this means. This void has made us vulnerable to being ambushed by religion and the pain of the flesh. We see them every week at Grace Life International. A covenant is an agreement between two parties pledging their commitment and responsibilities to each other. It is binding until one of them dies. In ancient times, it might be between a king who set up a covenant with the people he had conquered. The people may not have been given the choice of agreeing. This was a very authoritative, legal covenant. Another version was much more relational. In the Old Covenant, God gave Himself to Israel as their authoritative King and their loving Husband. Key Elements of A Covenant 1. Binding vows. 2. Responsibilities and blessings. Each had responsibilities for the other which would result in blessings for both. For example, you and I might commit to be responsible for helping each other if one was attacked. The blessing would be that we would both have twice the defense for defeating an enemy. 3. The Cutting of the Covenant. The two parties would walk in a figure eight around animals sacrificed and cut in half in two piles. Now the covenant was sealed in blood until someone died. The sacrificed animals were also a warning of what would befall someone who broke the covenant! 4. The Covenant Meal. Both the enjoyed a meal together, eating the cooked animals showing they had internalized the covenant in the very fabric of their being. 5. A sign of the covenant. There was always a sign covenant as a constant reminder of the relationship. For example, my wedding ring constantly reminds me of my marriage covenant with my wife. Did you know that the Old and New Covenants have all five elements (which I will share next week)? Did you also know that when Jesus died as one of the parties of the Old Covenant, it ended and the New Covenant was inaugurated? Read Hebrews 9:16-17. “Like a will that takes effect when someone dies, the new covenant was put into action at Jesus’ death. His death marked the transition from the old plan to the new one, canceling the old obligations and accompanying sins, and summoning the heirs to receive the eternal inheritance that was promised them. 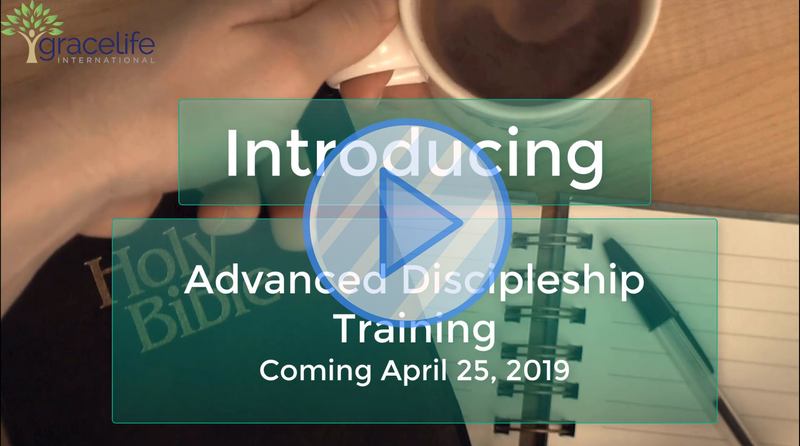 He brought together God and his people in this new way.” I am excited for the deeper intimacy, freedom, and fruitfulness in Christ that await you as God unfolds the New Covenant for you during the next few weeks.